What do you think of when thinking about the 2nd Amendment? I've said what I think of: what the meaning of the 2nd Amendment is, I think of those objections I have to both those who're promoting something they call 'gun rights! ', and 'gun control! ', and of how I think its opponents evade honest discussions through ideological falsehoods and evasions for political gains. But that's me - what comes to your mind when you think of the 2nd Amendment? Are you, like many, one of those who think about shooting statistics and reducing crime numbers through common sense gun policies and laws? "...Before I started researching gun deaths, gun-control policy used to frustrate me. I wished the National Rifle Association would stop blocking common-sense gun-control reforms such as banning assault weapons, restricting silencers, shrinking magazine sizes and all the other measures that could make guns less deadly....."
"...I researched the strictly tightened gun laws in Britain and Australia and concluded that they didn't prove much about what America's policy should be. .... And in both Australia and Britain, the gun restrictions had an ambiguous effect on other gun-related crimes or deaths...."
You might of course believe that your own review of the 'statistical facts' leads you to conclude that your 'gun control' methods would, or even do work, as this delightful manufacturer of two faced straw man arguments claims. But perhaps not. Or, if you wonder whether the Australian gun confiscation model might work here, since it seemed to lower shooting deaths there, this paper, which doesn't agree with me, presents a very reasonable case for why that is unlikely to be true for us here, or even for that matter for them there, and explains why. But even if favorable findings and statics such as those were accepted without question, they still are not something that I'd use to make an argument for the 2nd Amendment. I really don't care whether 'gun control' proposals will, or won't, 'work' to reduce crime and murders, and my opposition to them would remain unchanged. Why? Because the 2nd Amendment has nothing to do with crime, or with reducing criminal behavior, or with our failures as a society to reduce murders or other criminal behavior, and I'm not giving it up for a false appearance of relevance. Try looking at it this way: If it could be shown - and I've zero doubt that it could be - that by repealing the 4th Amendment (which preserves the right "...to be secure in their persons, houses, papers, and effects, against unreasonable searches and seizures...", requiring warrants, etc. ), or even that putting (further) 'common sense restrictions upon it', the police would be able to prevent an enormous number of crimes by having the ability to enter anyone's house on a hunch, arrest anyone on the basis of suspicion alone, and hold them for as long as they thought best, I've no doubt whatsoever that we would immediately see a drastic reduction in crime and murder rates across the nation. Would you be for that? Why? Because reducing crime is not the purpose of the 4th Amendment, or of the 5th Amendment, or of any of those other essential individual rights that are being protected by any of the other amendments in our Bill of Rights. Not even in those amendments which deal directly with limiting police activities in pursuit of criminals, they are not about crime, or murder, they are about safeguarding our individual rights by specifically preventing governments from gaining those powers which have been historically proven, over, and over again, to be horrifically dangerous to that government's own people, for it to acquire such powers over their lives. or the newest fashionable social engineering theory that do-gooders are promoting 'for our own good'; it's not the intentions with which such powers are acquired that leads to tragedy and disaster (power and corruption being what they are), but the inappropriateness of having those powers at all, that inclines a society towards the very worst of unintended consequences. The problem with these and other policies isn't that they set out to do wrong, but that they loose the power to 'take action!' to do what many thought was right! - without regard for preserving or respecting the rights of the people that lay in the way of their 'doing good' to them. What our 2nd Amendment is intended to do, for those who are willing to see the dangers in their own weaknesses, is to restrain the hands of those in power, especially when the populace is vocally urging them to use their power to do what 'they think best', this time, without being hindered by 'silly notions of individual rights', as founding pro-regressives of the Left (Woodrow Wilson), and the Right (Teddy Roosevelt) put it, at the creation of their Administrative State, back in the beginning of the 20th Century. That Administrative State, which we are so close to being permanently saddled with, is far from being a progressive step forward, but is instead a retreat into the past - the freedom to advance power, over principles of justice - a 'Divine Right of Kings' by any other name would smell as foul. I cannot comprehend those who'd praise such backwardness as being 'progressive! ', call me unrealistic, but I don't believe that you can go 'forward!' by going backwards. And if we do not refuse to be Pro-Regressive, we will be ushered back into being ruled by rulers, once more. But in order to resist that, we have to be willing to Identify what IS, and judge what we Ought to do, in the face of that. But in a time where people have difficulty identifying which bathroom to use, or what gender they are, what they 'Identify' as, has little to do with what Identity actually is. And that makes evading what is, and what is to be done, much, much easier to accomplish. What is (publicly) ignored in the vast majority of 'gun control' measures, is, as I pointed out in my previous post, that whether or not their proposals will be effective, isn't what such proposals are about, and the way they ignore that, is by manipulating our understanding of what IS, and what is to be Done, hiding themselves even from themselves, every bit as much as they attempt to hide that fact from those they propose them to. Perhaps it's their abundance of schooling which produces their apparent absence of Education, that leads them to think they are pragmatically justified in practicing their social engineering theories upon a captive populace, because they, in their 'expertise', think it's best, and, after all, it might might work - this time. Not surprisingly, those who are pursuing such 'common sense gun regulations', or the outright confiscation of some or all guns, do not get that they are the very people who the 2nd Amendment was written to protect us from - good intentions and all. 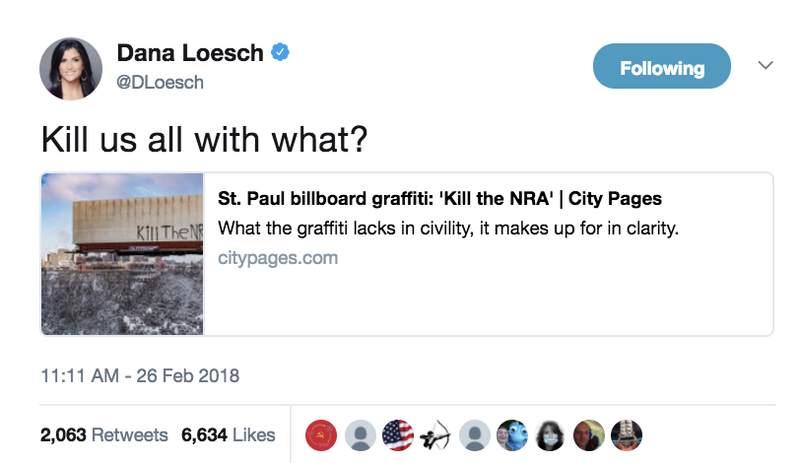 Another reason that the gun grabbers don't see the very threatening, fascistic nature of their own actions, is because they do not, or will not, reflect upon the nature of their own ideas, and so they do not, and will not, see that their approach to our laws comes from a perspective that is the antithesis of the system of laws that made America the historical exception that it is. Theirs, in their intentions and expectations, are derived from a power-centric, 'positivist law' philosophy, that is in direct opposition to the understanding of Natural Law as a restraint upon the use of power, that our Constitution was derived from. The Individual Rights that our tradition of Natural Law gave birth to, are the result of an advanced understanding of the nature of, and the requirements for, being fully human, and to discard them is to go backward, to regress. Those who'd drag us back into the dark days when those in power ruled over you, and did so with the aid of the Law, rather than being thwarted by it - would reduce us to contented inmates, left to the tender mercies of the nanny state. The modern (and in many ways, more ancient) pragmatic Positivist Law view, eschews principles of Justice, for shaping society into something that 'works', is not concerned with addressing the concerns of the Natural Law proponents, because it does not recognize the validity of principles as such, and it very pragmatically goes so far as to readily discard timeless truths, for actions that seem like they'll work at the moment, and for the moment, to be discarded as needed in the next moment, in order to 'make things work' again - for the moment. They don't begin with an interest in preserving individual rights, but in doing what they think is the right! thing to do - to each and every individual. That is the tradition which Rousseau, with his assurance that those who disagree with the state of necessity 'must be forced to be free', which Robespierre developed modernity's first flowering of fascism with 'The Terror' as official state policy from, in the French Revolution. The rest of us however, particularly those who dare to speak up in the defense of all of our rights, are continually reminded that such well intentioned people have given the rest of us plenty of reasons to be very serious in defending our rights, and especially the right of defense and self preservation. 1 Spent my weekend preparing to move due to repeated threats from gun control advocates. If you watched that despicable propaganda forum that CNN promoted as a Townhall, you caught a small glimpse of what Dana is routinely subjected to, that time by the 'amazing leadership' of Sheriff Israel whipping up the crowd - at the end of which Jake Tapper worriedly asked Dana if she had a security detail, and if so (as several people had rushed the stage), she should make use of it to leave immediately. These self same people, who are so eaten up with their mask of 'tolerance! ', are the very ones who are most fervently pushing violent threats, while seeking govt power to enforce their will, which makes them precisely what and who the 2nd Amendment is there to protect us against. The pro-regressive refusal to identify what is, and what is to be done, enables them to act with only the surface appearance of thought, while conveniently preventing their seeing and knowing themselves, or even of truly caring about what they most loudly claim to care about - the children. With that in mind, allow me to let you in on one of those lessons that I've recently learned about the most strident of you who define your position as being for 'common sense gun control!' measures - I've learned from your own examples, that you don't care whether your 'gun control!' measures would work. If you actually did care more about reducing or eliminating the slaughters in our scholastic shooting galleries, you'd be willing to set your anti-gun agenda aside for the moment, so that we could secure our schools with armed guards, as we do in your banks and government offices. If you did care more about 'the children!' than you do about your ideology, then you'd at least consider allowing those teachers who are willing to undergo training, to arm themselves to defend your children ('if it would save just one life!'). But no, you'd prefer that even those teachers such as Coach Aaron Feis (who also worked as a security guard), should be left with no other option than using his own body to defend his students with against a gunman's bullets; better that than to yield even a single inch of ground against your anti-gun, anti-American ideology - not because it's right, not because it'll be effective, but because because the thought of a teacher being armed and able to shoot back at an armed assailant, is far more repulsive to you, than the deaths of that coach, and those students. That is the tyrannical face which you refuse to see in the mirror, and that is why you evade with every fiber of your outrage, even the possibility of identifying what reality is, and what should be done about it. Guns aren't our problem, you are. The ugly truth of the ideology which you are so intent upon evading, is that your 'common sense gun regulations' aren't about saving lives, but are instead primarily about advancing your ideology, and if the tragic loss of life serves their purpose - as Alinsky urged the boomers, make the most of it. History is incomprehensible, until you realize that most of the horrors of history were done, not to do wrong - always a negligible number of humanity - but that they are pursued to do what they think is right. Unless you recognize that you as a human being are capable of doing monstrous things while claiming it is right to do them, you cannot, and will not, learn any of 'history's lessons'. The 2nd Amendment was designed to protect us (as were the other amendments of the Bill of Rights), not from criminals or the mentally unbalanced, but from those, who with the very best of intentions, would turn the powers of our government against us, 'for the greater good!'. If that is who you are, if you stand with a movement of people seeking to consume our individual rights, then you are the problem that the 2nd Amendment was written to protect us from, and you are the problem that the 2nd Amendment is there to ensure that we will have the means for resisting your desire to overpower us. Guns are not America's problem, you are. America definitely has a problem with the 2nd Amendment, but the problem America has, is with those who do not understand, or don't care, what either the 2nd Amendment or America is for. And if you are one of those who has statistics on your mind, instead of it being focused upon preserving those essential rights which Liberty cannot exist without, if you too, by implication, think that you could be safely entrusted with having such power over other's lives as to deprive them, and all of your society, of the protections of those essential rights that living as a human being naturally requires, then you too are part of our 'gun problem' as well. Yes, we do have a problem with criminals, and with murderers, and yes, we should do everything possible to remedy those problems, but any real solutions (possibly beginning with rethinking what it is we mean by Education), even those satisfying illusions of ineffective gun control, will take years to accomplish. So first things first: how about we start by making the murdering of our children, less easily accomplished? After all, '... if it saves just one life...', we should Do it for the children!